I tried writing this post last night but something felt off. I knew that if I felt it, it would come through in my writing because you guys get me unfiltered, lucky you. I decided to wait until this morning, which is my usual writing time. I realized I have a ritual about writing these posts now, I suppose after 12 weeks I would. I like to sit on the couch in my pjs and robe with a cup of coffee and turn off all distractions, phone, internet, music, etc and just write. The idea of writing at night after a crazy day just felt wrong, like having an after dinner cappucino before the appetizers. I realized that I need my sleep to reset my clock and my brain so I can wake up and start the next day fresh and refreshed and not be bogged down by all the crazy. Everything’s all over the place, nothing makes sense, but in the morning, you’ve been ‘set’ and ready to go about your day. It’s a little bit like forging metal, it only gets shaped when it’s hot and malleable, in the fire, if you will. But when it cools, it’s strong, unshakable and ready. 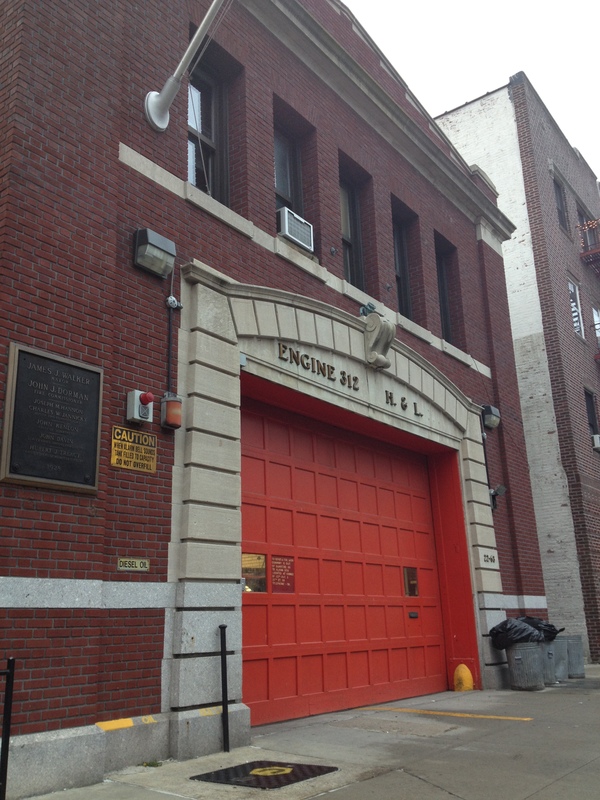 This week’s drop was at Engine 312 on 35th Street between 23rd and Ditmars. Now, this drop, more than others, got people excited and talking. I had numerous people come out of the woodwork and tell me how they had family, friends, neighbors who are firefighters and how they really deserve this; I even had one woman warn me about their egos and ways with women, because her brother is one 🙂 I wasn’t quite sure what to expect but figure it’s nothing this Single Girl couldn’t handle. What I found was a group of hardworking men that love what they do and are there because they want to help. I came on Thursday before my regular evening rehearsal to drop them off but it turns out most everyone was out getting dinner. I guess I should’ve come at 8am like the officers had suggested, but if you know me, you know that was never going to happen. I had to share all my enthusiasm and excitement over what I was bringing them to one poor gentleman who seemed to say “yep” and “uh huh” after every sentence I said because I think he was waiting for the part of my spiel where I ask for money. Why this extra excitement, you ask? 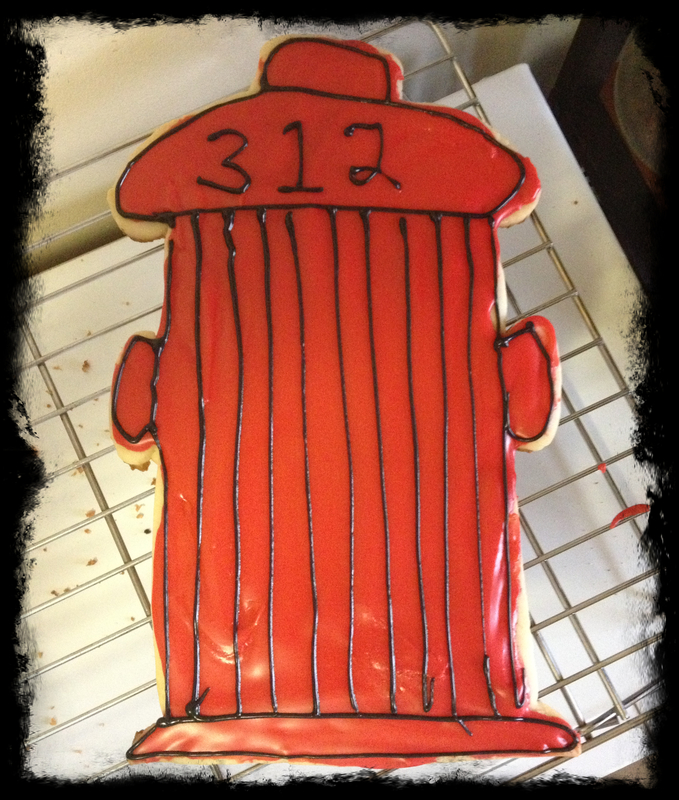 Well, in addition to the regular batch of chocolate chip cookies, I thought it would be fun to make a firehouse themed cookie. I had some luck the previous night with freeform cutouts so I thought I’d try my hand at a fire hydrant. 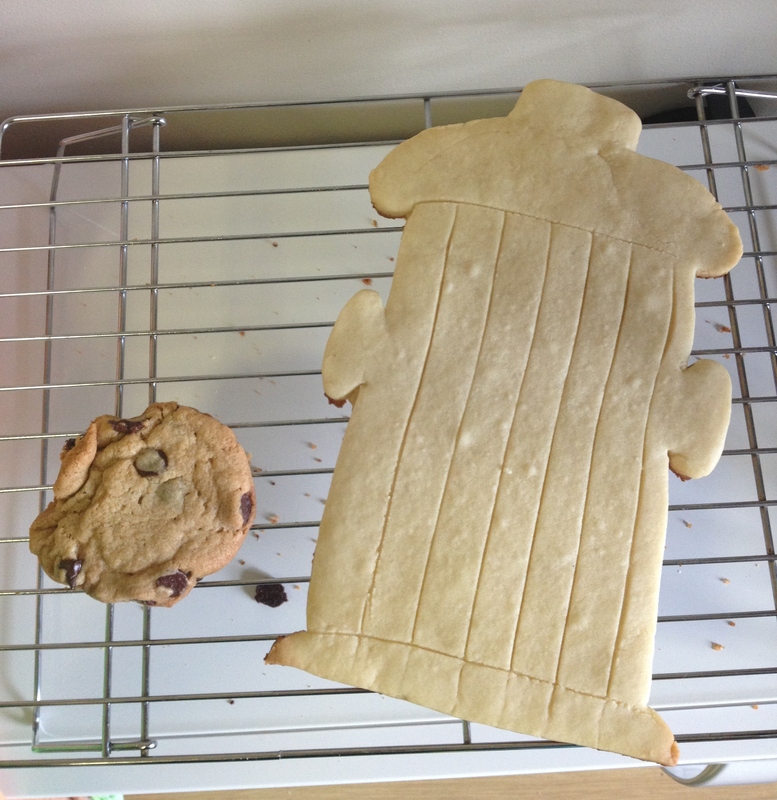 What I got was a giant, somewhat childish looking decorated cookie, but I think it was awesome. At the very least, it made me laugh. I told them I’d be by Sunday to pick up my plates if that worked for them and was told Sunday was great and I’d get to meet all the guys. Well! I surely did. Sunday was quite a lovely day, a bit chilly but still sunny and nice. 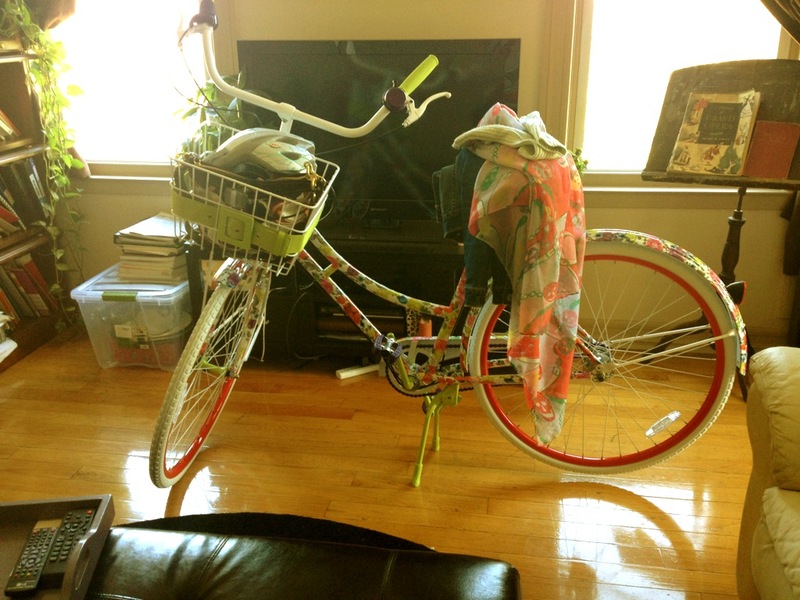 I thought it was the perfect day to take my gorgeous bike for it’s maiden voyage. You all remember my bike, right? Well, thought Sunday was the perfect day to take it out for two reasons: 1. The firehouse was a bit far for me to want to walk there and carry back plates (this has a basket) and 2. The driver side rear brake on my car literally exploded on Friday (while on the LIE mind you) so the ol’ girl is in the shop and out of commission. Reason number 3, this thing is just so pretty and I’ve been dying to take it out. I pedaled up there and was greeted by three charming guys, Joey, Jimmy and Kevin. They gave me back my plate, thanked me, and we chatted a bit about what Single Girl Cookies is all about and where they would send me next. 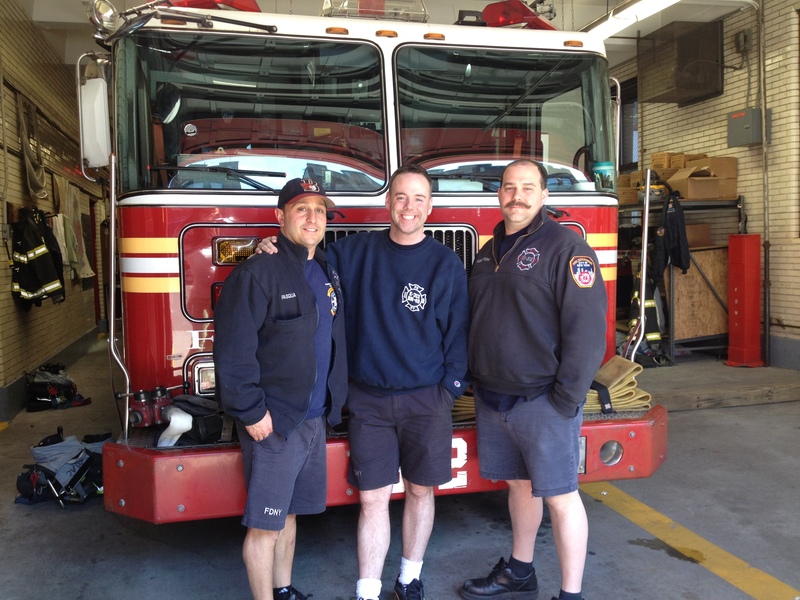 These guys don’t actually live in the neighborhood, so their official choice was Engine 263 on Astoria Blvd South. 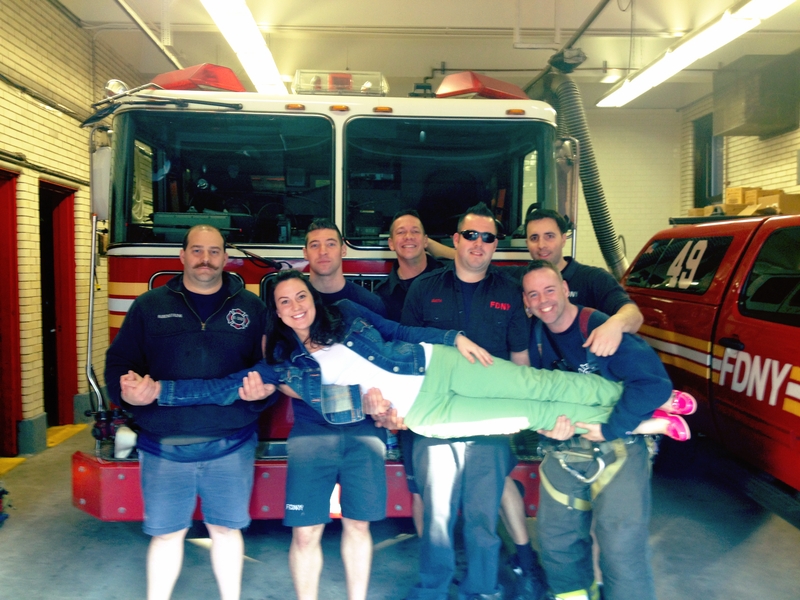 I hear there are three firehouses in Astoria, this may be Single Girl Cookie Service month! One week at the precinct, three weeks at firehouses, although you never know where people will send you. The next firehouse may send me to Pita Pan for all I know. Conversation was winding down and I was asking them for a favor when they got a call. They told me they’d love to help me out and to come back. 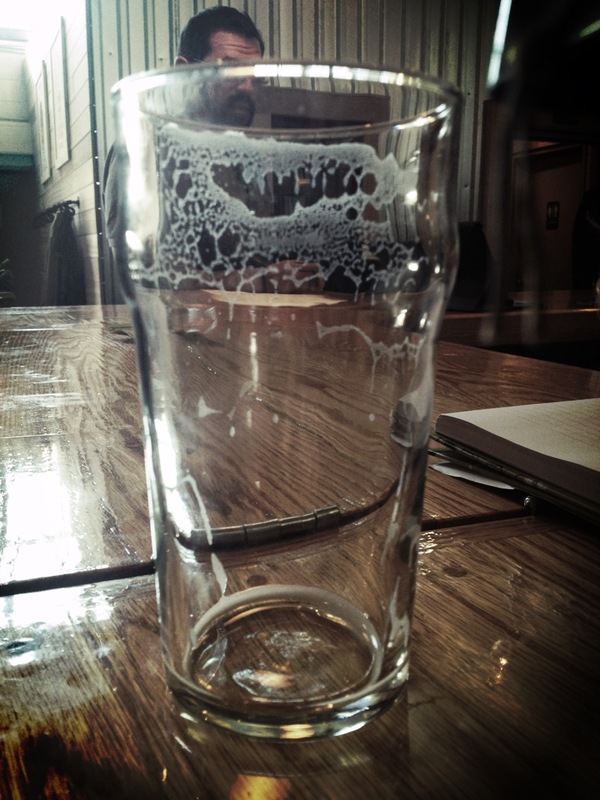 I suddenly had some time to kill up on Ditmars on a beautiful Sunday afternoon…what to do, what to do? Of course I went to Singlecut! Duh. Spending a few hours with my girl Amanda, and my man Sam and a new friend, Keith English Pale Ale was the perfect way to fill my afternoon. I’m thinking since I’m going to another firehouse next week, I’ll start a collection of these: Single Girl Cookies with firemen! Maybe I’ll get enough to make a calendar. So, as you go about your week, think about Joey’s story. Things may not turn out the way you hoped. They may be challenging, frustrating, irritating or any number of things. Then again, it may be the best week ever! If you do have challenges, use them to shape yourself. Nobody likes to go into the fire. It’s hot, uncomfortable and hard….but isn’t that how steel is forged? Make each trip of yours into the fire count; let it make you stronger, more resilient and a force to be reckoned with.